Tottenham are showing strong interest in Suso. 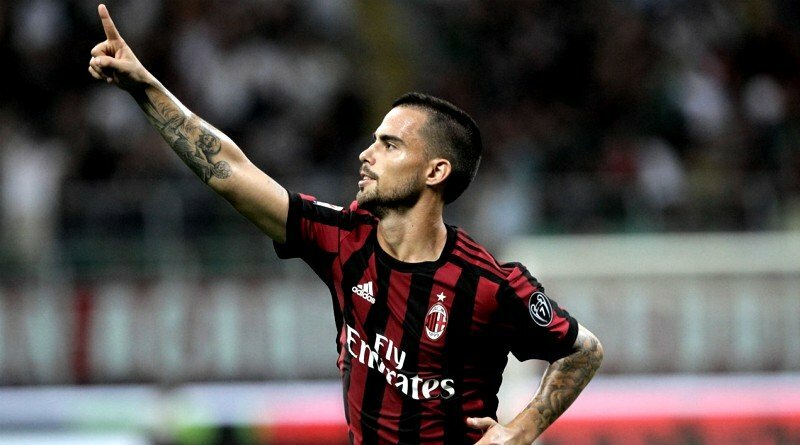 According to the football transfer rumours in Italian media, Tottenham are considering a move for AC Milan winger Suso. The Spain international was signed by AC Milan in January 2015 from Liverpool for a fee of 1.3 million euros. The 24-year-old has a contract until 2022 with the club. Suso has scored 13 goals in 66 games for AC Milan since joining the club in 2015. Suso has represented Spain at Under-17, Under-18, Under-19, Under-20 and Under-21 level, winning 35 caps and scoring 7 goals, before making his senior international debut last month. As a member of Spain national football team, Suso won one cap. Mauricio Pochettino is keen to secure at least one signing this winter, and Suso could very well be a man under consideration. He is a long term admirer of Suso and believes he can get the most out of the Spain international. The 24-year-old would be a versatile addition for the Tottenham, having featured at right wing, attacking midfield and right midfield role. According to the report, the Spurs are pondering a January bid to sign the Spaniard. Tottenham made a 23 million euros offer to sign the former Liverpool flop last summer but AC Milan refused to sell their star. Now, with AC Milan going through harsh times and with Suso, who has been failing to show any kind of consistency during the current campaign, AC Milan may decide to sell him in the January transfer window. Suso has recently signed a contract extension with AC Milan and has also agreed to have a 50 million euros release clause included in his new deal. It will be interesting to see whether Tottenham will make their move during the January transfer window.